October was an intense month with lots of challenges. 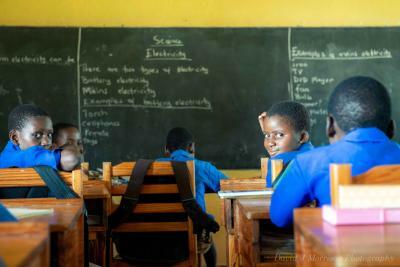 We had some major challenges at one of the 13 different secondary schools our children attend. We had to make significant changes in the arrangement of our girls’ houses, but all was eventually resolved. David, together with other leaders, were forced to do some quick work in hiring new teachers for the Iris Africa Primary School. We had found some excellent teachers at the beginning of the year, but two of those new teachers bailed early in the year. Interviewing is time consuming and quite difficult. We are so thankful for a team of strong teachers at the primary school who have been committed for many years. Integrating new teachers is easier because that team is in place. November was better. 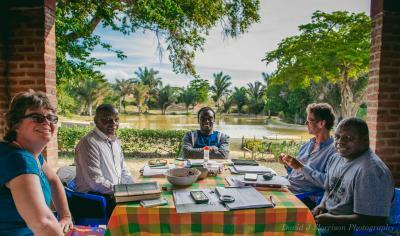 We enjoyed our first ever Management Retreat, held at Kondonani Children’s Homes in Vumbwe. Everyone was a bit nervous at the outset, but we soon settled into a happy place, cooking with each other and serving each other in the clean up. We got into the boat with the disciples and Jesus and talked about what that was like. We asked what storms we are all facing and dreamed together about the future. We came away knowing each other better and trusting God for big things. It was good to tour Kondonani and learn from them. At the Bible School, we had two classes for September through December; about 50 students. Joanna had the privilege of teaching the Beatitudes and David was called on for electives. In January we hosted another 30 students for their final year of teaching, and in February a group of 43 women. The women’s class is always as exciting, as many have not had much schooling. Everything is new, from sitting in a class, to reading, to taking notes, to staying together with 9 other women in a room. It is also the first time these women have not had to carry water, clean, hand wash clothes, cook, chop firewood, and the list goes on. It is wonderful to see them relax over the four-week period as they soak in the teaching and rest their bodies. In February, we received a lot of rain, which culminated in a huge storm at the beginning of March. As Cyclone Idai was building, a smaller storm caused flooding here in Malawi. After Idai hit, we received some spin off from her as well, leaving many houses down, many fields flattened, and many people displaced. 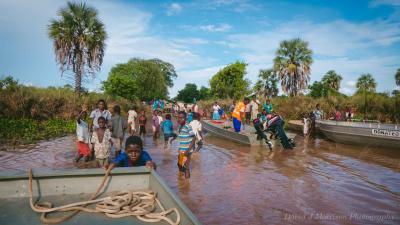 As I write, David and others are out on the boats delivering supplies to communities cut off by the flooding. Much food has been distributed already, and there is more to come. The long-term impact of this flood will be in food shortages. This year we anticipated a good crop for the first time in our fifteen years here, but now much has been lost. Thank you for partnering with us to serve the poor. We are privileged to have a front row seat and we can see that good things are happening in the midst of the struggle.